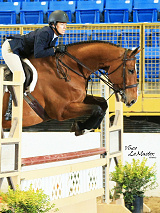 "I am so grateful to The German Horse Center for selling me my absolute dream horse!" A true fighter which always gives his best for his rider. Just the right level of temperament, forgiving. 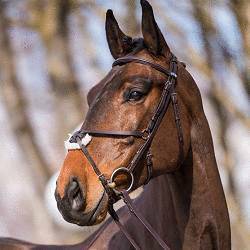 Placed in 1.40 m.
Attractive, harmonious young dressage horse by Enzo Ferrari. Well-behaved, uncomplicated, good riding qualities. High quality horse with excellent jumping technique and the right amount of caution. Highly refined and sensitive mare, absolutely honest. Many 1.30 m placings, winner 1.35 m, first 1.40 m placing. For empathetic riders. Fantastic, very easy to ride, highly successful dressage horse: Placed Short Grand Prix. Ready for 1.20 m, wins and placings in 1.10 m and 1.15 m. Pleasant to ride, already very mature for her young age.